Sheila took over ownership of our little yoga studio in December of 2018. Her yoga journey began in 2012 with the intent to reduce or eliminate chronic back pain she carried after many years years of running and cycling. When she was introduced to Astanga Vinyasa Yoga, she knew she had found an approach that would be and has proven to be for her, life changing! Once committed, she began to experience improvements beyond her initial intent. Sheila experienced improvements in her physical health and her emotional and spiritual well-being. Sheila committed to learn more about the practices, philosophy, history, and traditions of Yoga and by February 2016 she completed through the Yoga Alliance and True Yoga East Yoga School her teacher certification as an Ashtanga Vinyasa Yoga (RYT200) teacher. As she has stated “I never really thought I would teach yoga, I just wanted to learn more, for myself. But the strange thing is, when yoga is a part of you, you want to share it with others.” She has been a part of our teaching staff since March 2016 and is the creator and teacher of our Saturday 8:15 am, Monday & Thursday at 5:30 am – Gentle, Ashtanga Foundations and Yin and as a substitute for other staff teachers in all of the yoga “styles” Collierville Yoga offers (Vinyasa, Yin, Restorative, and Hatha Yoga). Sheila loves to help individuals of all ages and abilities discover through the Ashtanga Vinyasa Yoga practice that any person with sufficient desire, commitment, and patience can regain flexibility, improve balance, improve stress management, and feel good after every practice! 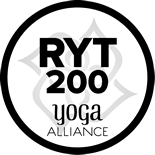 Heidi began her yoga practice at Collierville Yoga in October 2014. For many years, she was performing arts dancer in Kansas City, Las Vegas, and Tunica, MS in like La Cage aux Folles and other popular cabaret style shows. Settling in the Collierville area for a number of years now, Heidi is a part owner and manager of Memphis Sound (memphissound.com) providing staging, sound, and lighting equipment and technical support for many large and small venues throughout the region. Heidi is an animal lover and a strong supporter of area efforts to find homes for every sheltered and lost furry or feathered friend that needs help. She is a key supporter of the Fayette County Animal Rescue Group! She has a soft heart, and a strong body she carried over from her performing days. 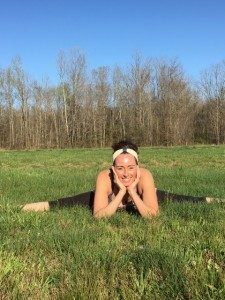 She developed a strong yearning to learn the traditional and systematic approach to Ashtanga Vinyasa yoga at Collierville Yoga with daily practices and attendance at workshops with Greg Tebb and in March 2016 completing a rigorous 200 hour Ashtanga Vinyasa Teacher Training. She began teaching at our studio in February 2016. An RYT 200 hour certified instructor, Heidi is a studio favorite in multiple styles including Ashtanga Basic Foundations, Yin, and Vinyasa! Heidi is also our instructor for the Youth to Teen seasonal series for 9-17 year olds! She is also available for private yoga sessions. enjoys hiking, Pilates, running, and other recreational activities. After being diagnosed with a debilitating condition that threatened to claim her activity & life in 2006, she transformed her health by initiating a regular yoga practice from various traditions, maintaining her stress levels, changing her dietary habits, and ensuring adequate nutrition. During those years, she earned her BA in Psychology from Christian Brothers University, MS in Psychology from The University of Memphis, and completed 40+ hours in a Public Health PhD program. Currently, Paige is a PhD Candidate in Educational Psychology whose focus is to employ yoga as a tool to meet persons’ needs (e.g., increased strength & flexibility; regulation of thoughts, behaviors, & emotions; stress management; productivity; heightened awareness and attention; improved well-being & happiness; etc.) –whether on or off the mat. She completed a rigorous, month-long 200-Hour Yoga Teacher Training (YTT) program at the Kripalu Institute of Extraordinary Living (KIEL), which partners with Harvard Medical School to conduct research to allow the benefits to inform the YTT methodology & vice versa. Her education, training, and experience equip her with the ability to teach to all levels from beginners to advanced practitioners. She strongly believes that yoga is for everyone hence her desire to develop classes for all persons. Paige is available for private lessons, as well as personal and professional development/team-building workshops for teachers/schools, companies, community organizations, etc. 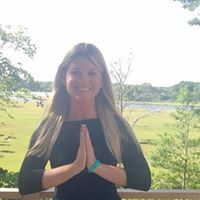 Amanda joined the teaching staff at Colliervile Yoga February 8, 2018! She has been practing yoga for 4+ years becoming an avid Ashtanga Vinyasa practitioner at Collierville Yoga in May of 2016. She has studied under Teresa and Heidi. Amanda has attended workshops at the studio and in Costa Rica with Greg Tebb. She recently completed her first 20 hours of Ashtanga Vinyasa Teacher Training with Manju Pattabhi Jois. She’s experienced the effects of a regular yoga practice and truly loves sharing her awareness with others. Amanda is a business owner and operator of Premier Staging LLC (premierstaging.org) providing design consultation, home staging, and interior design services in the greater Memphis area. Being a business owner and former wedding coordinator for one of the areas largest venues, learned how high-stress, demanding professions, coupled with life changing circumstance can create unhealthy conditions in the body, mind, and spirit. Yoga has renewed her sense of calmness, mindfulness, joyfull daily living, and compassion for others seeking solutions to high stress living.